Spring Hollow Ranch is located in the northern end of Teton Valley, just outside and a couple of hundred feet above the town of Tetonia, Idaho. The property consists of rolling hills, ponds, open space and unprecedented mountain views in every direction including dead on views of the Grand Teton Range. 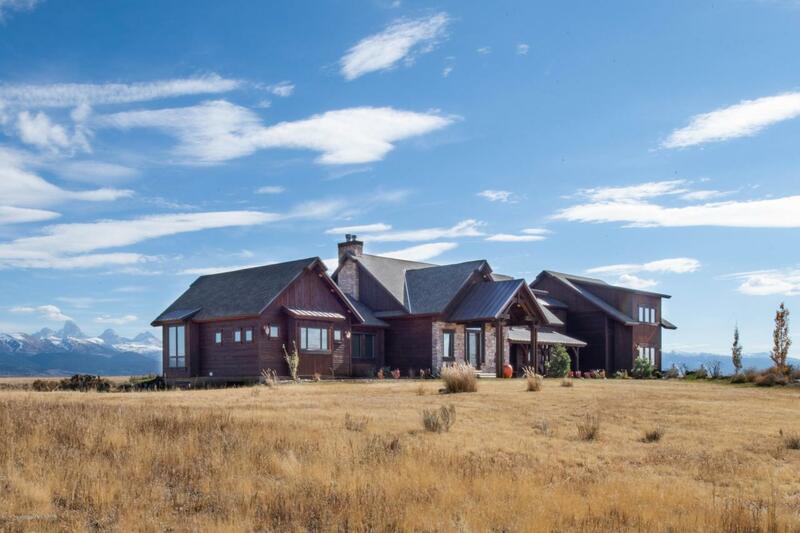 This expansive custom home sits on seven private acres at the top of the Ranch. The home is generously appointed with views in every direction. Inside there are five spacious bedrooms including a beautiful apartment with a separate bedroom and cozy sitting area. The main floor of the home offers a large open kitchen, butler's pantry, multiple living spaces and a beautiful master suite. Additionally, there are bonus rooms on two levels of the home providing spaces for a variety of uses.